Since coming home from the Edinburgh Fringe exactly one week ago, I keep waking up at 7.22am. Last night, I got to bed around 3.30am. I set my alarm for 8.30am. I woke up again at 7.22am for no reason. Someone must make a noise in the square outside my house at around 7.22am, but I hear nothing when I wake up. Getting back to sleep was confused by the fact that, at 3.30am, I had taken a Vicks Medinite cold cure to help me sleep; but, last night, doyenne of comedy critics Kate Copstick had bought me a Red Bull energy drink. 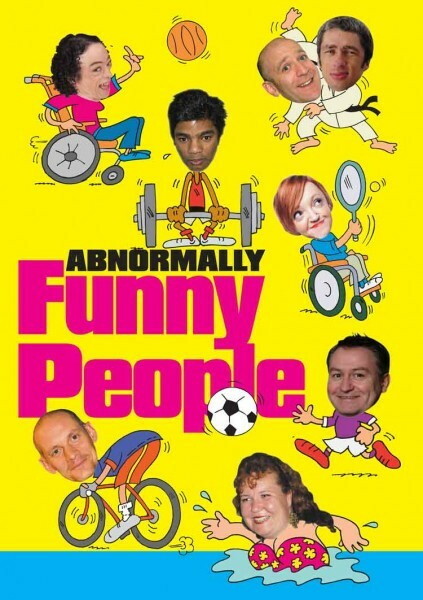 We had been at the Soho Theatre to see the Abnormally Funny People comedy show. It is rare to see a comedy show where there is not one duff act. But, last night, every act on the show was excellent. Don Biswas, Liz Carr, Tanyalee Davis, Steve Day and Stella Young, compered by Mat Fraser. All excellent. Because of what comes later in this blog, it is worth pointing out that all these comics have worked exceptionally hard under exceptionally challenging circumstances to become exceptionally good comedy performers. Each one is wonderfully creative. Remember that phrase. 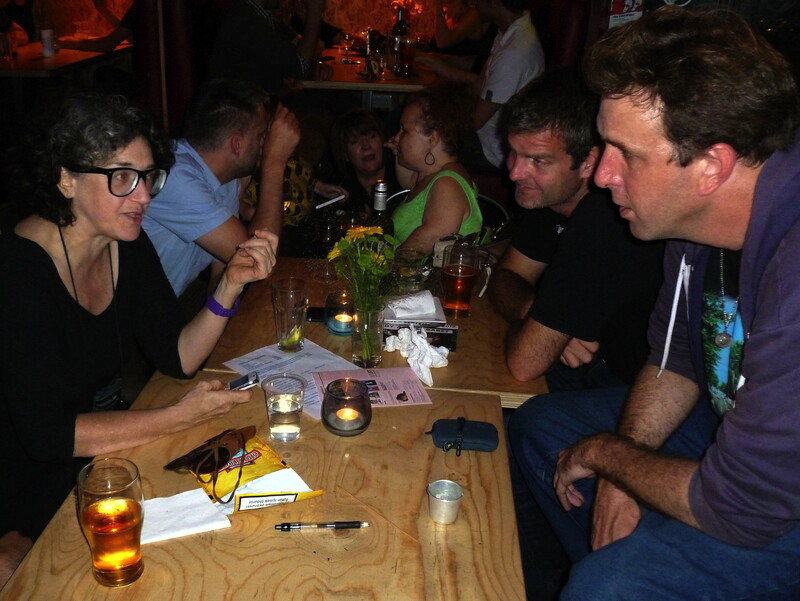 At Soho Theatre last night, Copstick talks to Bronston Jones and Will Franken. In background, in green, Tanyalee Davis. After the show, Copstick and I had a meal at Soho Theatre with the lovely Tanyalee Davis and American comics Will Franken and Bronston Jones. All three are wonderfully creative. Remember that phrase. Both the guys had played their first Edinburgh Fringe this year and both, to varying extents, said they were thinking of moving to the UK. Will Franken, in particular, seemed especially Anglophile as he had been to William Blake’s grave earlier that day, recited an entire Blake Poem (NOT Jerusalem or Tiger, Tiger) and sang Roxy Music songs with Copstick without the urging of excessive amounts of alcohol. He is returning to San Francisco in three days time. Copstick is returning to the slums of Nairobi in two days time. She will be there for 18 days. She spends four months of every year in Kenya, working for her Mama Biashara charity. I have blogged about it before. If you want to know more, use the Search facility. “There must be a TV series in tonight’s show,” I interrupted. “But, when you go to Kenya…” I said. “Because we have so much and we don’t care and it would be so easy for us to help and do more and because my two totally different alternative universes are the Mama Biashara work in Kenya and comedy and performing here and most performers are, by their very nature, shallow, meaningless, pointless, self-obsessed people. “It’s very difficult to get back to this from people who are absolutely up against death by starvation and malaria every day. People in Kenya say things to me like I had a touch of typhoid, but it’s fine and Let’s do the workshop; I only have a touch of malaria. “And that’s something you like,” I prompted. “You live in the slums of Nairobi,” I said. “The bin appears to be smoking along with Will Franken,” I said. “It’s like a New York street scene with smoke coming up through the road,” I said. 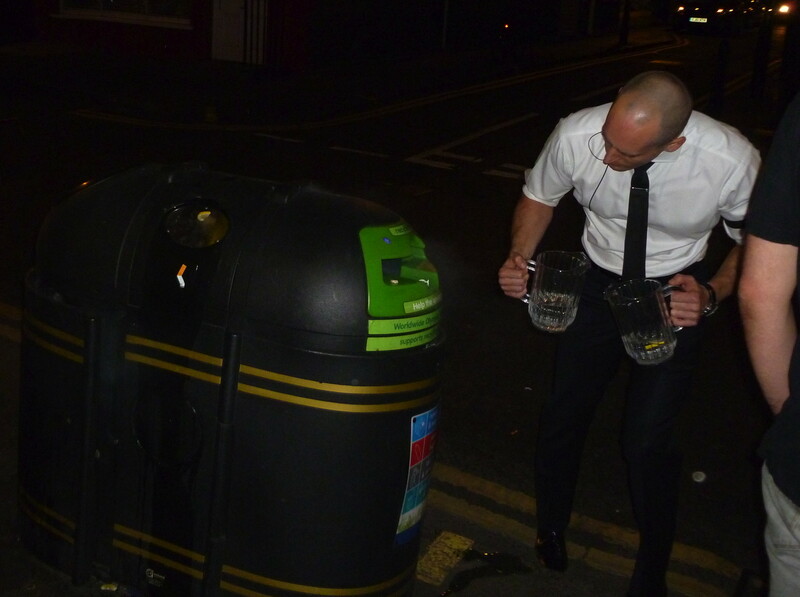 And I did go out but, before I got to the bin, a security man from Soho Theatre had got there with two glass jugs of water and had poured them into the bin.